Clients are able to claim rebates with their private health funds. Our therapists have provider numbers for all the major health funds. Cash and major cards accepted. 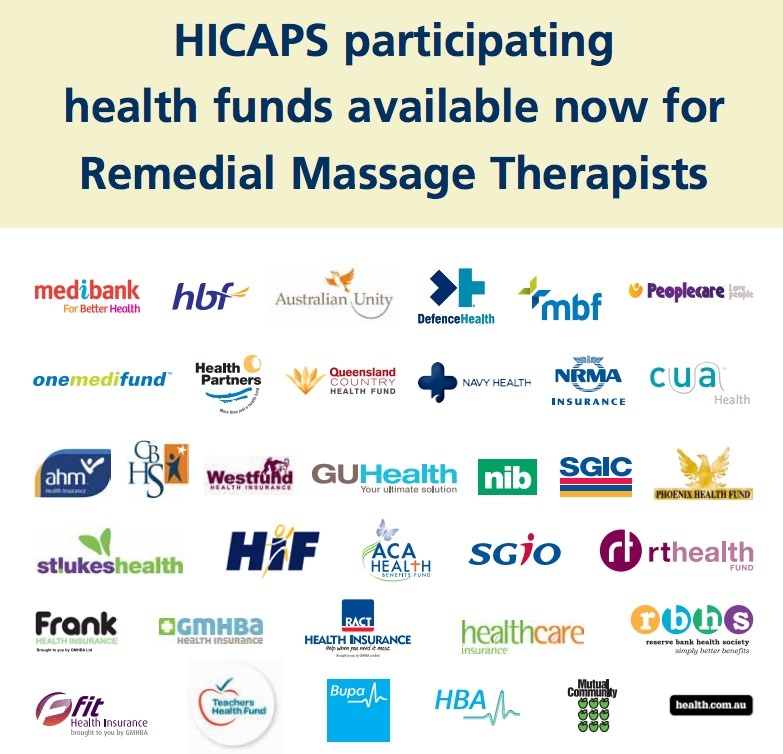 HICAPS & EFTPOS available at our Colac clinic. EFTPOS (and receipts for rebates) available at Camperdown. When you reschedule or cancel an appointment, we require 24 hours notice; otherwise a 50% cancellation fee will be charged. Obviously this applies to missed appointments also. This policy also applies to appointments scheduled to be paid with a Gift Certificate. 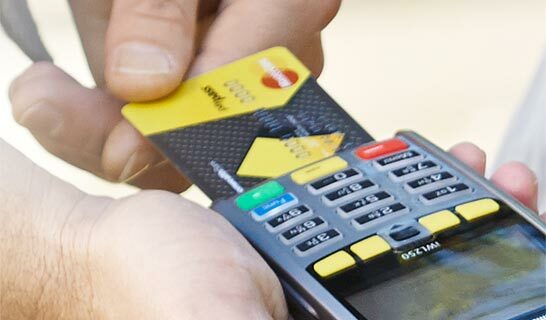 The same fee applies, regardless of mode of payment. Confirmation of an appointment or a non reply is acknowledgement of this cancellation policy. For you to enjoy the full value of your consultation, we ask you to arrive at least 5 minutes before commencement of your treatment. New clients are required to fill out health forms prior to treatment, please adjust arrival time to suit. If you feel that you will not be able to come early to fill out the forms, email us at info@revolutionhealthcentre.com, and we will send you the forms to fill-out beforehand. This clinic is committed to the privacy of its clients. Personal information is treated as confidential and is used only for the purpose for which it was collected. Information kept on file will not be released to a third party without the express consent of the client or as required by law. A client’s file can be presented upon request by the client, but all records must stay in the possession of the therapist. At Revolution Health Centre, we adhere to strict rules regarding the treatment of children and adolescent’s under 18 years-old. It is required that a client under the age of 18, must be accompanied by a parent or guardian. For the safety of your child – While we can vouch for our therapists, there are always bad apples out there. There are still cases being reported of misconduct with all health professions – and to be ignorant about this issue is silly. It is a good habit to be a part of the treatment your child is getting. You can take in any extra information or instructions that the child or young adult may forget, or not want to tell you – like eat more veggies, and drink more water. While getting a massage, most clients are only in their underwear (covered by a towel, of course) – but this can be intimidating for anyone! To have a supportive adult there is a great way to get the most out of the treatment – as the child is more relaxed. It’s a part of our insurance policy. We are strictly covered by guidelines and policies that are enforced by our insurance company, and massage association. These guidelines have also been lawfully amended to suit our clinic. If we have not answered the questions you have towards this subject, please call us: (03) 52322319. Gift Certificates are generally purchased for a credit amount to spend, (ie: $50 to spend). A perfect present for someone you care about! All Gift Certificates are available for purchase or mail delivery. Simply email us at info@revolutionhealthcentre.com. Gift Certificates expire 6 months (unless otherwise advertised) from the date of issue and are not redeemable for cash. Any unused balance will not be refunded or credited when the voucher expires. Where the certificate was a part of a promotion ran by Revolution Health Centre, the certificate winner (the person who’s name will be on the certificate), must be the only person to use the certificate. Where the cost of the treatment/s and/or purchases exceeds the available certificate balance, the certificate holder will be required to make up the difference with an alternative form of payment. This certificate should be treated like cash. Revolution Health Centre disclaims any responsibility for lost or stolen certificates. All Gift Certificates are non-refundable and cannot be transferred. In the event that an appointment is scheduled (and planned to be paid for with a gift certificate), the Cancellation Policy still applies. 24 hours notice is required to be given before any cancellation, reschedule, or missed appointment. *See above, for Cancellation Policy.